There's no question that the upcoming Ford Bronco is one of the most hotly anticipated new vehicles coming soon. 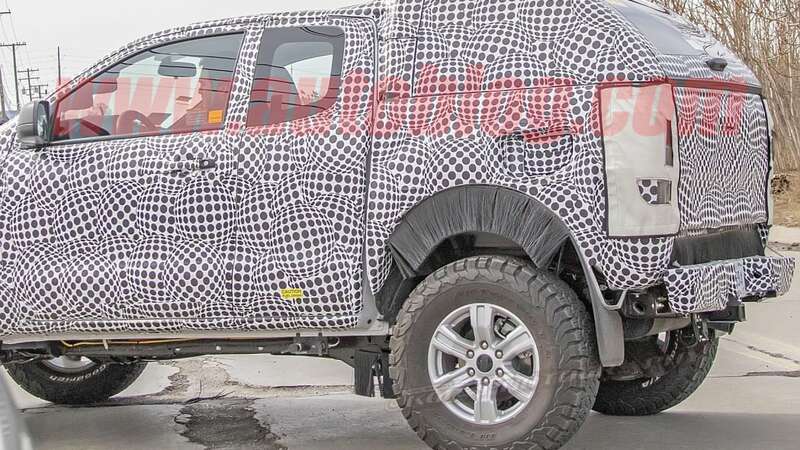 But there are a lot of questions about the vehicle's specifications, and this latest round of spy shots will only serve to add fuel to that raging fire of debate. 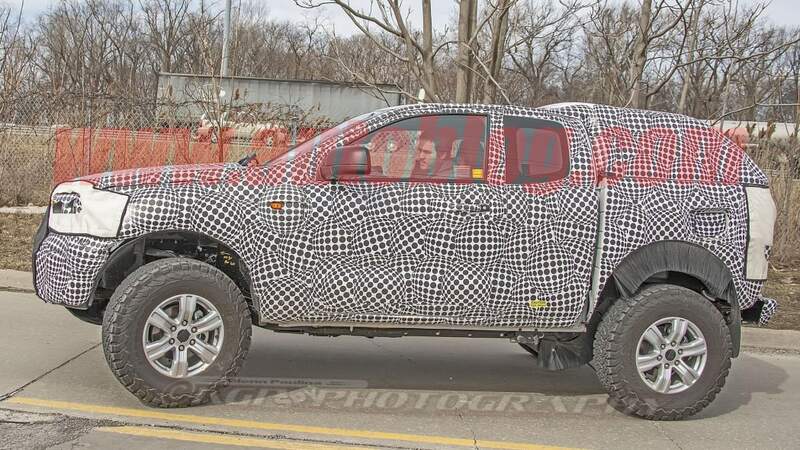 We know that the Bronco will be based on the Ford Ranger midsize pickup truck. It's going to have serious off-road chops, with what appears to be excellent ground clearance to go along with short front and rear overhands to provide good approach and departure angles. Our best guess is that it will retain the reborn Ranger's 2.3-liter turbocharged four-cylinder engine, which makes 270 horsepower and 310 pound-feet of torque in pickup guise. But what we don't know is why Ford has gone to such great lengths to camouflage this Bronco mule's rear suspension setup. Is it hiding leaf springs or a unique set of links and coilovers? A Watts link for the rear end? A custom set of shocks similar to what's offered on the Raptor series? We can't say for certain. These pictures make me excited --- and sad. This makes me excited because it seems that Ford will pull no punches in getting an excellent product to market. They have some financial issues looming and can't afford to get it wrong. They're going to do what is necessary to not only revive a legend (the Bronco was a legend in it's own day), but steal some attention away form Jeep and the Wrangler. But these pictures also make me sad, because I know that GM is unlikely to chase the same customers. Or worse yet, GM will make a half-hearted attempt at doing so (insert complaints and/or criticisms of the new AT4 series of products at GMC). Ford is so determined to make the Bronco a hit, they're hiding pieces of the suspension on a test mule. GM, on the other hand, cannot even hide the fact that they're hardly trying. Even the new GMC Acadia AT4 is merely sporting off-road tires while calling itself an off-road vehicle (with no changes to springs, suspension set up, or otherwise). Last edited by nadepalma; 03-21-2019 at 03:53 PM. I'm definitely looking forward to this. I've been working with the Ford Performance group a lot more lately, they're a passionate bunch (gearheads for sure) and I look forward to getting to work with one of these soon. And that's all I'm allowed to say about that. It's insane that as someone who grew up only GM, that GM no longer has anything for me to look forward to. FCA and Ford, however, they've got a lot of current product that I like, and future stuff I'm anxiously awaiting. All GM has is a Corvette that's increasingly trying to price itself out of my range, and a Camaro that I can't fit into. Gosh, it looks homely. Maybe it's just excellent camo. Looks like a turd, though. Are you serious? It's a regular Ranger cab and bed cut down to cover the Bronco platform. All automakers do similar things when testing new platforms. Hopefully it's just a troll comment and nothing more. Anyone who knows anything about this business knows what you wrote is correct. I await the real deal with bated breath. Last edited by jpd80; 03-21-2019 at 07:00 PM. They could use both Everest and Ranger Raptor set up ? You'd think they would be mad not to use that already engineered set up? 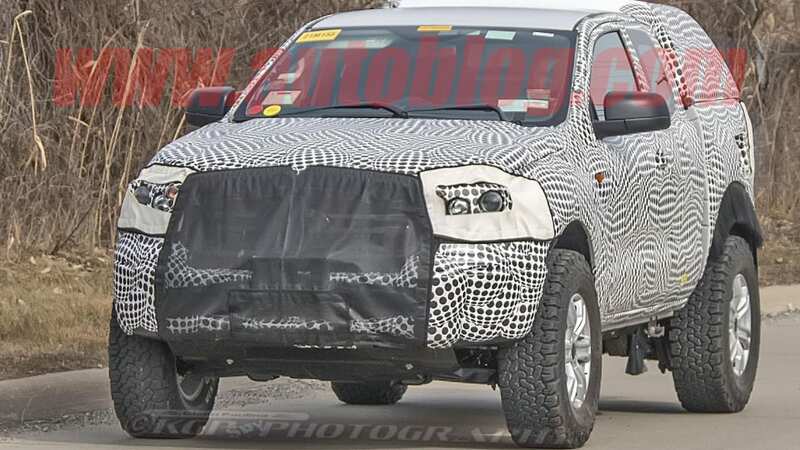 I've seen snippets of the face of the new Bronco... that front end is not the new Bronco.